This is a weird one I came into last month. 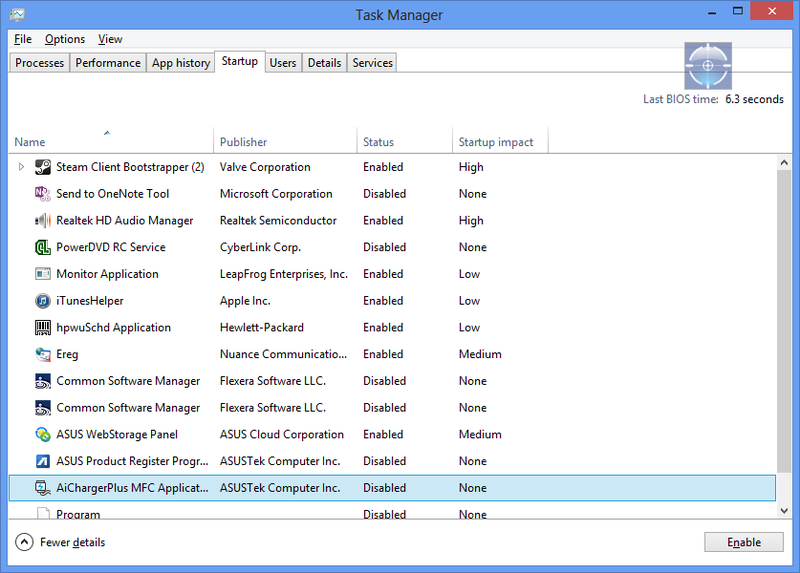 Certain Asus machines that run Windows 8 come with Asus AI charger. This application like many of the crapware that comes with new machines shouldn’t be installed on the machine in the first place but the factory has to feed the public with the marketing ploy that ITS GONNA CHARGE YOUR IOS DEVICES FAST! On certain machines in order to update to Windows 8.1 you need to remove it, or Windows won’t install the 8.1 update. Some of you have expressed concern that AI Charger is awesome and you won’t remove it. That’s fine – Enjoy Windows 8. 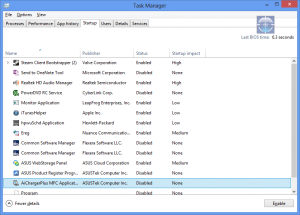 The main problem being some machines are unable to remove this application because it is not in “Programs and Features” to uninstall. 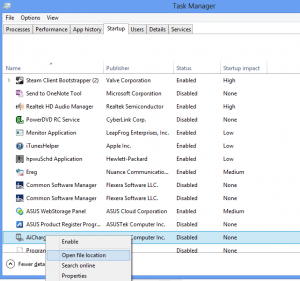 Here is a way to remove the application if all other attempts have failed. AIChargerPlus MFC Application and DISABLE it. 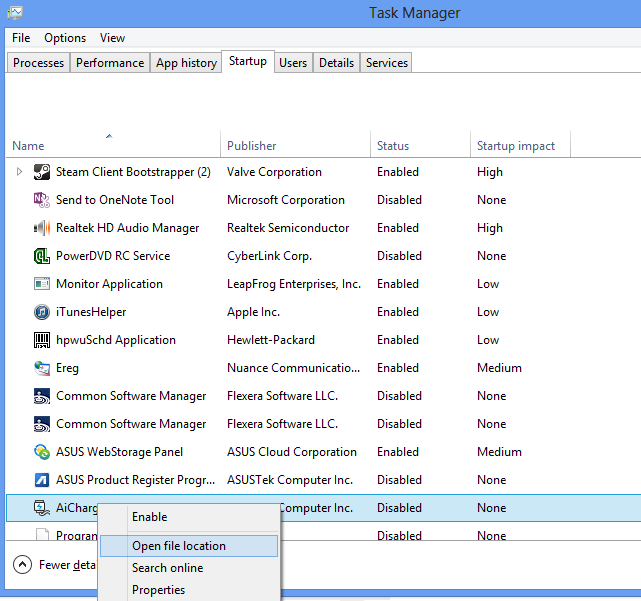 We’re not done yet, Windows 8 will still detect the application is on the machine, we need to remove the files as well. Once you open file location, it will bring you to a random Windows Temp folder, remove/delete all items in this directory. There is usually around 10-20 files in that folder. Reboot the machine again, and attempt to do the Windows 8.1 Update again, it should go through now. Just so you know, ASUS AI Charger has nothing to with “supercharging” the PC, it allows the USB ports to charge at a faster rate than normal. Maybe do some research first. Thanks for the input. It claims to “supercharge” the USB port charge @ 1.2Amps however it’s never as good as a wall charger. You can always reinstall Ai Charger after the update. It’s not that big of a deal. cool. thanks for the input. if you feel it’s important to run extra bloatware from asus, take up unnecessary resources, prevent a microsoft OS update, just to have an extra 10 minutes quicker charge on your IOS device then you’ve got me there.